The American Human: Repubican SCOTUS Obstructionism, Take Two: Who Says They'll Lose? Repubican SCOTUS Obstructionism, Take Two: Who Says They'll Lose? No way acting like a bunch of middle-schoolers will impress Americans. Er, who says? 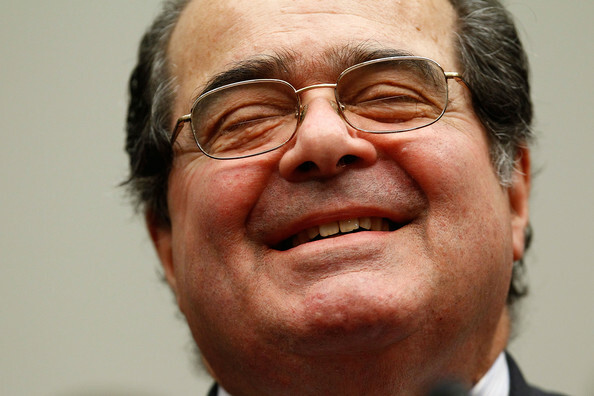 Antonin Scalia: still making trouble. It’s no secret that the current Republican leadership in Congress is essentially held hostage by the most extreme elements of its base. We have all forgotten about John Boehner, for understandable reasons, but please remember that the duly elected speaker of the House was forced to quit for being not enough of a do-nothing obstructionist. For any elected Republican to offer a fair hearing to any Obama nominee at any level of government is tantamount to treason; half the Republican electorate apparently believes that Obama is not a United States citizen and not the lawful president in the first place. What proportion of them believes that Obama had Scalia murdered in order to ban all guns, open the borders and institute Sharia law remains unclear. (“I’m hearing it’s a big topic,” says Donald Trump, fueling a new bump in the polls.) And here we are, facing a Supreme Court vacancy after the death of the most conservative justice in recent history — or ever, quite likely — under the aforementioned lame-duck Islamo-Democratic so-called president. Whether the Republicans can successfully run out the clock on the Obama administration without paying a devastating political price remains to be seen. It’s a massive gamble, a game of Russian roulette played with four or five bullets in a six-shooter. But their vow to do so is the logical fulfillment of their party’s long-term commitment to paralysis as politics, and it comes as a surprise to absolutely nobody in Washington. If that tactic poses unknowable hazards for the GOP in general and its presidential nominee in particular, that’s not because it is qualitatively different from what they’ve been doing for years. It’s only because it thrusts the nihilistic strategy of the right-wing conserva-trolls who have eaten the Republican Party’s soul into the public’s face in blatant and unavoidable fashion. A long-term commitment to paralysis as politics. What a concept.